Spider mites are less than 1 mm in size and can vary in colour. They lay small, spherical, eggs which are initially transparent and many species will spin webbing around the eggs to protect them from predators. They live on various types of plant on the under sides of its leaves and cause damage by puncturing the plant cells to feed. It works by a physical means blocking the breathing holes of the red mites and insects causing death by suffocation. Any spider mite eggs are unlikely to hatch due to their encapsulation within the medium and their obvious inability to transpire successfully into an adult spidermite. To apply, mix 25ml of SMC Plus to 1 litre of water, spray plant completely with a fine mist. SMC Plus is made from a blend of plant extracts, harmless to children and pets, safe to use on edible fruit and vegetables as well as ornamental plants. 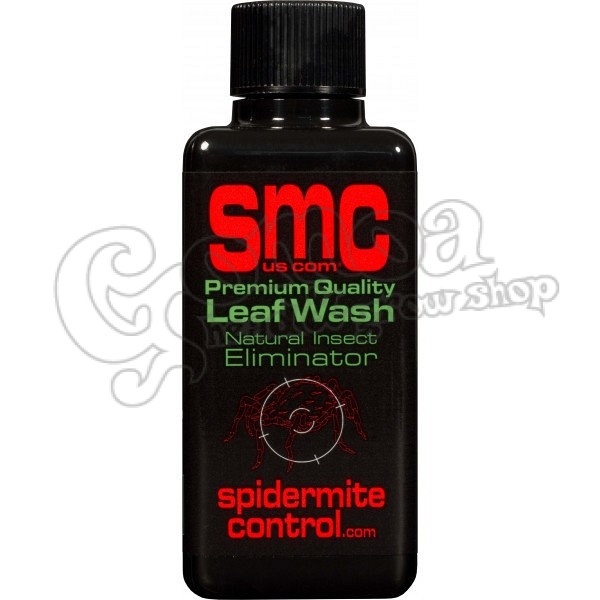 SMC Plus will not harm beneficial insects as it only kills insects that come into contact with it before it dries. This means that insects that are introduced as biological controls or naturally occuring can carry on working almost without interruption. And many other plant pests.